George Boucher Worgan was a son of the respected London musician, organist and composer, Doctor John Worgan (1724-1790), nephew of James Worgan, brother of Richard Worgan (bapt. 1759, d. after 1812) and Joseph Worgan, and half-brother of the composer-musician Thomas Danvers Worgan (1774-1832). George became a naval surgeon, and his piano, brought with him on the Sirius, was the first landed in the colony in 1788. He later gave this piano to Elizabeth Macarthur, wife of lieutenant John Macarthur of the New South Wales Corps, and also gave her lessons on it before he returned to England in 1791. Two of his sons came to Australia. The earlier to arrive was John Parsons Worgan. His father reportedly wrote to authorities in NSW asking that John be given a position, and he was duly appointed by governor Darling as Clerk to the Bench of Magistrates at Hyde Park Barracks on 13 September 1830. Sometime between 1832 and 1834 he met John Lhotsky, who recorded that Worgan told him of the existence of his father's Sydney journal and letters. His elder brother, George William Worgan, a "music-master", arrived in Sydney in 1838. A son of George Boucher Worgan's younger brother (or half-brother) Joseph Worgan, George Worgan and his wife Harriet and son George Tovey Buckland Worgan, settled in New Zealand in the 1850s. Only two of Them have ventured to visit our Settlement . . . The Drum was beat before them, which terrified them exceedingly, they liked the Fife, which pleased them for 2 or 3 Minutes. Indeed Music of any kind does not attract their attention, long together, they will sometimes jump to it, and make a grunting Noise by way of keeping Time to the Tune. By comparison, the musical observations of, for instance, chief surgeon John White and of another trained musician among his colleagues John Hunter (a pupil of Charles Burney), are both more enlightened and more interesting. Worgan's piano received its first published notice in 1893, with the publication by Frank Bladen of Elizabeth Macarthur's letter (see Frank Murcott Bladen, Historical Records of New South Wales: Volume 2, Grose and Paterson, 1793-1795 (Sydney: Govt. Printer, 1893), 499. Thereafter, it was noted in print in London (Louis Becke and Walter Jeffrey, Admiral Phillip: the founding of New South Wales (London: T. Fisher, 1899), 218: https://archive.org/details/admiralphillipfo00beckrich), and in Sydney by old colonist and historian H. W. H. Huntington (1848-1926). From McGuanne in 1901 onward, it has been Worgan and his piano that are most frequently cited in foundational narratives of Australian music history (e.g. Lorna Stirling, "The Development of Australian Music", 1944; James Hall, "History of Music in Australia", 1951; Arundel Orchard, Music in Australia, 1952). Worgan's first fleet diary came to light only in the 1950s. But, as still not then realised, his legacy to Australian music did not end with his piano and diary. The organist and composer George William Worgan, below, who arrived in Sydney in 1838, was his son. JOHN WORGAN, AGAINST SARAH WORGAN. LIBEL given in the 13th of June, 1768. IN the above-mentioned Libel, John Worgan, of the parish of St. Andrew, Holborn, in the county of Middlesex, sets forth, that, on or about the first of September, 1753, he and Sarah Mackelcan, (now Sarah Worgan) were joined together in holy matrimony; that such marriage was cousummated, and they lived and cohabited together as husband and wife: that, for several years last past, the said Sarah Worgan hath given herself up to a vicious, loose, and scandalous life and conversation, and hath frequently committed the foul crime of adultery, fornication, or incon-  tinceny, with one or more strange men, particularly with one Rowe, a married man, and communicated the foul disease to the said John Worgan, &c. he therefore prays to be divorced from bed, board, and mutual cohabitation with the said Sarah Worgan, by reason of adultery committed by her, &c.
I have met a very odd homo by name [Richard] Worgan whom if you have not seen you will for he is going to Acton this Xmas. he does wonders upon the piano-forte. oddly enough he played & sung the Old Mans Comforts [Southey's poem of 1799] in a large company, & after praising the music they fell to praising the poetry, which nobody knew to be mine. He himself fancied it was Bowless - so I set him right. [Richard Worgan (1759 - after 1812), almoner, musician, resident of a cottage at Storr's Hall, Windermere, who composed A Set of Sonnets (1810), and hymns, one of which, "Windermere", was included in the collection published by George Worgan (b. 1802), Gems of Sacred Melody (1841). Mr Worgan & I pun against one another with great glory. Alas what will not the world lose for want of a Boswell! WORGAN, (JOHN) doctor of music. His parentage, in common with that of most builders of a name, is involved in impenetreble and inconsequential obscurity. His father, the unheeded slave of his offspring, sunk unobserved to the grave. The family records, even of deathless names, may generally be limited to a few lines. The father to the subject of these memoirs left six children, James, Mary, Charles, Hannah, John, and Elizabeth, slenderly provided for, and chiefly dependent on the musical abilities of James, who could do little more for his brothers and sisters than instruct them in his own art. James was the organist at Aldgate and St. Dunstan's in the East: when he died, John succeeded him at Aldgate, and Mary at St. Dunstan's. At this church Mary's playing soon won her the heart and hand of a thriving tradesman. Charles went to Jamaica, and settled there in trade; he was also organist at Port Royal. Hannah married a Mr. Clarkson, in the silk business. Of Elizabeth there is no certain account, but it is thought she married and went to Jamaica; and John, the subject of these memoirs, lived with his brother James, under whom he was initiated in the study of music. The dawn of genius is commonly either remarkably brilliant, or obscured by mists that deceive the vigilance of tuition. The mental character of John Worgan was of the latter cast; working its own way, and apparently impervious to the access of regular instruction. The friendly brother was disheartened, and almost hopeless, particularly when he found the ear of his pupil seemingly so defective as to be incapable of comprehending that important branch of musical practice called time. One day, when the brothers were sitting at dinner, after a morning to all appearance lost in fruitless toil, John suddenly paraphrased unwittingly the exclamation of Archimedes. "I have it," cries the pupil. "Have what?" said James. "The time," replied the other. "I am glad of it," rejoined the master; "but come, let us see what you have." They went immediately to the harpsichord, and John surprised and gratified his brother with a practical proof of his acquisition. From that moment the mental  clouds of the élève began to disperse, and it is reported that eventually James did not behold the rapid advances of his brother without envy. Be that as it may, John always acknowledged gratefully the debt of a substantial groundwork to his brother; who was, indeed, both practically and theoretically, what is termed significantly a sound musician; but the transcendency of the younger brother was irresistible; and James, who then played the organ at Vauxhall gardens, resigned it to his brother about the year 1751. James died in the year 1753, and in the same year John supplied his place as organist at Aldgate. About this time his talents in composition, and execution on the organ, began to attract that popularity so essential to the profitable success of every kind of talent. But he was not a man to be contented with the popularis aura, which he courted merely as a means of advancing bis fortune, and afterwards readily assigned to the little eagerness of less ambitious competitors. He was indeed "a mighty genius, born to grapple with whole libraries" of musical classics, to sport with practical difficulties, and to explore the intellectual depths of an art yet unfathomed, and perhaps unfathomable. It is not to be supposed that such a mind could be satisfied with ordinary attainments. He got from old Roseingrave all that such an eccentric enthusiast could give, and from him imbibed a reverence for the genius of Domenico Scarlatti, who transmitted him the compositions, of which, accordingly, he was afterwards the editor. But Palestrina was the God of his youthful idolatry, to the memory of whom, he once, at a convivial meeting, poured a libation on his bare knee; a youthful freak that, in England, is a subject for ridicule; not so in Italy. "When," says Dr. Burney, "he became acquainted with Geminiani, he swore by no other divinity; and the profession credited him for an exclusive attachment to Handel." But these were both partial and erroneous representations of a mind, that, to have been understood, must have been carefully and constantly studied. Another light would have shown him the votary of Blow; another of Purcell; another of Arne; of the Italian school, or of the German. All, however, who knew him, allow that he had an original vein, "quite his own," as Dr. Burney phrases it. To teach the young idea how to shoot;"
and in certain instances it may be so to the finished performer; but to the creative mind the toil of tuition must be a crown of thorns; and should the subject of these memoirs  ever be fairly known as a composer, the infliction of this heavy penalty on the neglected sufferer, will be followed by an ample tribute of generous but fruitless regret. The rest of Dr. Worgan's life was to the public a blank, his attendance at St. Mary Axe and Aldgate excepted. His compositions, indeed, attracted a little circle of intelligent admirers, but the beams of patrician patronage passed over the unfashionable Englishman to foster exotic plants, and he descended to the grave to await the tardy and barren retribution of posthumous justice. He did not however expire without an effort. His manuscripts had accumulated, and he could not but know their value; nor was he without the generous ambition that is ever a prominent characteristic of genius. Accordingly, a few years before his death, he invited the reputed patrons of music to a series of private concerts at his house, consisting of sacred music, and called by the Italians concerti spirituali; but he sung to adders. Haydn and Pleyel had intoxicated the town, and the revival of Handelian sublimity and science was confounded with servile imitation. Not indeed but that the selections the doctor made might have been rendered more effective by the substitution of that affecting and intelligible simplicity, in which he abundantly excelled, for the learned labour to which he was perhaps too partial; but from the rock on which Milton split, what mental supremacy is an infallible security? What Alcides ever rescued genius from himself? Dr. Worgan's constitution was naturally sound, but gradually undermined by that dreadful malady the stone. The increasing paroxysms of his disorder determined him at length to undergo a surgical operation in his sixty-sixth year, which he endured with heroic fortitude; but it failed in the object, though eventually it terminated all his worldly sufferings. He was buried at the church of St. Mary Axe, opposite the left side of the communion table, as approached from the aisle. At his funeral the church was crowded with respectable parishioners and mournful spectators. As the body entered the church, Mr. Charles Wesley, one of his favourite pupils, played the Dead March in Saul on the organ; and the instrument, which in the doctor's time had fascinated thousands, thundered forth a volley, as its unconscious master descended into the grave. Such was the flitting scene that honoured his remains, and vanished: and now, "not a stone tells where he lies." JOHN WORGAN was born in the year 1724. He was brought up under the care of his brother James, organist at Aldgate and St. Dunstan's in the East, and was, at first, so unpromising a pupil, as far as his ear was concerned, that his instructor gave up all hope of teaching him time. One day, however, when the brothers were sitting at dinner, after a morning of apparently fruitless toil on either part, John suddenly rose and exclaimed, "I have it!" "Have what?" inquired the brother. "The time;" rejoined the pupil. "I am glad of it," said his instructor; "but come, let us see what you have." They immediately went to the harpsichord, and John surprised and delighted his brother with a practical proof of his acquisition. From this moment the spell seemed broken, and his progress then became so rapid, that it is said, James, who was both theoretically and practically, a good musician, could not behold  his success without envy. In 1751, however, his brother resigned to him his situation of organist at Vauxhall Gardens; and on his death, in 1753, John was elected organist of Aldgate. In the same year he published his first book of Vauxhall songs; and he continued to supply the gardens with vocal music till 1761, when the proprietor thought fit to try the effect of new names. At the end of nine years, however, after the changes had been rung upon the names of Arne, Potter, Arnold, and others, Worgan was selected to resume his situation of composer, in 1770. He was, however, less popular in the orchestra than in the church; and his fine playing being little appreciated by a Vauxhall audience, his continuing to preside there gave rise to a caricature, in which Apollo was represented as kicking him out of heaven, for wasting celestial energies on the profane vulgar. He quitted Vauxhall finally in 1774, and continued to teach and play from that time until his death, in 1790, after he had undergone an operation for the stone. Worgan derived his chief celebrity from his performances on the organ; for although his accomplishments as a composer are said to have been of a superior order, he was, in that character, little appreciated. "His compositions, indeed," says one of his biographers, "attracted a little circle of intelligent admirers; but the beams of patrician patronage passed over the unfashionable Englishman, to foster exotic plants, and he descended to the grave to await the tardy and barren retribution of posthumous justice." He was an enthusiast in his art, and sucessively became the worshipper of Domenico, Scarlatti, Palestrina, Geminiani, and Handel. To the memory of Palestrina, we are told, he once, at a convivial meeting, poured a libation on his bare knee; a youthful freak, that in England, as his biographer observes, "is a subject for ridicule; - not so in Italy." As a teacher of, and performer on, the organ, he was not inferior to Stanley; and he has the honour of having had for his pupil the celebrated Charles Wesley. His published compositions consist of two oratorios, some organ pieces, and a thanksgiving anthem, a set of canzonets, and several sets of songs; all abounding in taste, learning, and genius. From the SPECTATOR, October 14  Samuel Wesley, the great organist, died on Monday. From a memor of his life, which appeared simultanously in most of the morning papers, we extract the pith . . . His favourite contemporaries were Clementi and Woelfi; his models in early life were Battishill and Worgan, on the organ; and subsequently Sebastian Bach . . .
Joseph Worgan (s. John, Mus. D., of S. Andrew Undershaft, London), b. Marylebone, ed. Eton, commoner 30 Oct. 1787 to 3 Jan. 1795, Reynolds, M. 26 Oct 1787 age 19, B.A. 22 June 1791, testimonials for orders June 1791, V. of Pebworth, Glouc. 1822, d. 1825. WORGAN, JOHN (1724âˆ’1790), organist and composer, of Welsh descent, and the son of a surveyor, was born in London in 1724. He became a pupil of his brother, James Worgan (1715âˆ’1753), organist of Vauxhall Gardens, and he subsequently studied under Thomas Roseingrave [see under Roseingrave, Daniel] and Geminiani. John Worgan speedily took a foremost place as a skilful organist. In succession to his brother James he was organist at St. Mary Undershaft with St. Mary Axe, about 1749, at Vauxhall Gardens, 1751 to 1774, and at St. Botolph, Aldgate, in 1753. He subsequently became organist of St. John's Chapel, Bedford Row, in 1760; and, in succession to his brother, he held the post of 'composer' to Vauxhall Gardens from 1753 to 1761, and again from 1770 to 1774. He took the degree of bachelor in music at Cambridge in 1748, and the doctorate in 1775. He died at 22 (now 65) Gower Street on 24 Aug. 1790, and was buried in St. Andrew Undershaft on 31 Aug., when Charles Wesley (1757âˆ’1834) [q. v.], one of his favourite pupils, presided at the organ. Let Handel or Worgan go thresh at the organ. Burney refers to him as 'a very masterly and learned fuguist on the organ.' As a composer Worgan was not great. 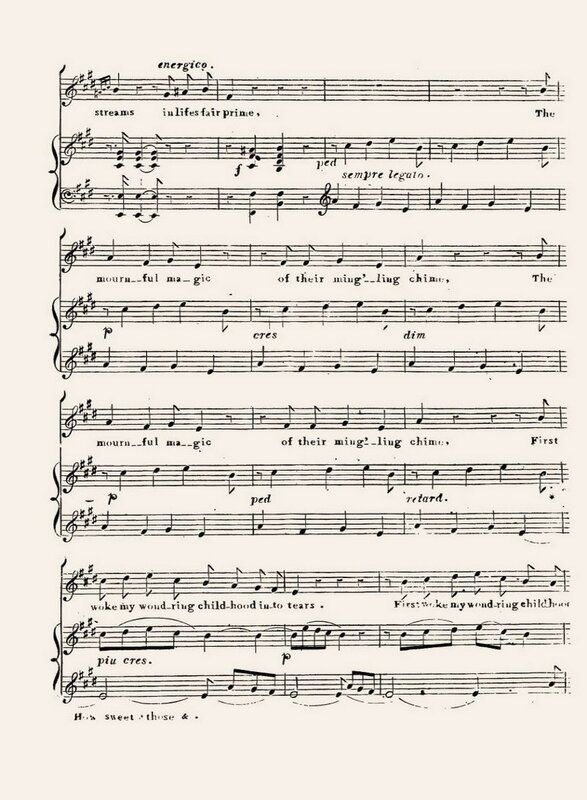 His compositions, now forgotten, include two oratorios: 'Hannah' (King's Theatre, Haymarket, 3 April 1764) and 'Manasseh' (Lock Hospital Chapel, 30 April 1766); "We will rejoice in Thy salvation," a thanksgiving anthem for victories (29 Nov. 1759); many songs for Vauxhall Gardens, of which thirteen books (at least) were published; psalmtunes, glees, organ music, and sonatas and other pieces for the harpsichord. Some of his manuscripts are in British Museum Addit. MSS. 31670, 31693, 34609, and 35038. Worgan is persistently credited with having composed the Easter hymn. As a matter of fact the tune appeared (anonymously) in Lyra Davidica (1708) sixteen years before Worgan was born. Lhotsky 1835, following John Parsons Worgan, noted the existence of George Boucher Worgan's MSS account. According to Allen 1856 it had since been mislaid (see also Boase and Courtney 1878). The MSS letters and journal extract were finally donated to the State Library of NSW (ML C830) in 1955 by Mrs. Margot Gaye of Guildford, Surrey, England, who found the MS among the possessions of her late aunt, Miss Agnes E. Batley (c.1862-1953). [Tuesday 7 August 1789, Rio de Janeiro] . . . This day Mr. Wogern Surgeon of the Sirius dined on board, to whom I was introduced by Mr. Watts, & rec'd a pressing invitation to dine on board the Sirius while we ly [page] in harbour, & to hear him play on the Piano Forte. He has a very fine one on board, is the Son of Dr. Wogern D: Mus: & seems a very agreeable good kind of Man. [Tuesday 7 August 1787] This day Mr. Wogan Surgeon of the Sirius dined on board, to whom I was introduced by Mr. Watts, & rec'd an Invitation to dine wt. him in the Sirius, & to hear his Piano Forte; he is a Son of Dr. Wogan D: Music: &: seems a very sensible good kind of man.
. . . I shall now introduce another acquaintance, Mr. Worgan, to you, a gentleman I have not hitherto named. He was surgeon to the Syrius, and happened to be left at this place when that ship met with her fate at Norfolk. It is not improbable this Gentleman may himself deliver this letter to you. He is well known to Doctor [illegible]. I assure you in losing him a very considerable branch of our society will be lopped off. I shall now tell you of another resource I had to fill up some of my vacant hours. Our new house is ornamented with a pianoforte of Mr. Worgan's; he kindly means to leave it with me, and now, under his direction, I have begun a new study, but I fear without my master I shall not make any great proficiency. I am told, however, that I have done wonders in being able to play off God Save the King and Foot's Minuet, besides that of reading the notes with great facility. In spite of musick I have not altogether lost sight of my botanical studies . . .
[v-vi] PRELIMINARY OBSERVATION. WHATEVER merit may appear in the following attempt, to draw up a statement of the Agriculture of the County of Cornwall, must be attributed to the very liberal and ready communications which I have universally met with in collecting the information and facts contained therein. From the very extensive and rapid improvements, which have of late years been made in every department of the Agriculture of Cornwall, it is obvious, that the Gentlemen of the County are fully convinced of the utility and importance of this noble science to the community at large. It seems to be pretty generally admitted, that the adventurous spirit of mining, particularly in the western part of Cornwall, has in some measure withdrawn the industry, attention, and capital, from Agriculture; but since the establishment of that excellent Institution, "The Cornwall Society for the Encouragement of Agriculture and Industry," in the year 1793, no County in England has, perhaps, advanced more in Agriculture, nor exhibited more striking proofs of the beneficial effects to be derived from Gentlemen of property and consequence, and of liberal and enlightened minds uniting with the practical respectable Yeomanry, in promoting rural industry and improvement on the best principles. I hope it will be found, that I have in this Report approached the object I had constantly in view, a faithful relation of every material circumstance concerning the husbandry of that interesting district. It has not been in my power to comply with my inclinations and wishes, by calling upon every respectable individual in the County; yet I am convinced of the general good will of all, towards the promotion of the laudable views of so useful an Institution as the National Board of Agriculture. I beg to return my most grateful acknowledgment to all those Gentlemen, who have so kindly assisted me in my arduous undertaking. To many I feel and profess myself under very particular obligations. G. B. WORGAN. Bodmin, Nov. 30, 1808.
. . . We beg to add, that we believe Mr. Worgan to have been very diligent in collecting materials for his Work. It happened however unfortunately, that he was obliged to perform the greater part of his Survey during winter, by which he not only endured much hardship, but was also forced to take.many things upon trust, of which at a more favourable season, he might have been an eye witness. We have taken great liberties with his manuscript, and generally suppressed what was deemed redundant; but after considerable erasements, alterations, and additions, a large portion of the original is preserved; and to obviate the inconvenience of notes and references, we have in some measure identified ourselves with Mr. Worgan in the body of the Work; taking care that wherever we have made observations, or stated facts, for which we alone are answerable, the initials of our respective names are subjoined. We are, GENTLEMEN, With much respect, Your obedient humble Servants, Robert Walker. Jeremiah Trist. Charles Vinicombe Penrose. Cornwall, May 1, 1810. Liskeard. A market and borough town, and parish, in the hundred of West, is 225 miles from London, 49 from Exeter, and 32 from Truro . . . Gentry & Clergy . . . WORGAN, George Boucher. Gent. West Street . . .
. . . Colonisation of New South Wales - also, of that part of the Country colonised, its inhabitants &c. &c., in a series of letters to a friend, by G. B. Worgan, Esq., surgeon in His Majesty's Ship SIRIUS." This manuscript communicated to me by the son of the author, (Mr. John P. Worgan) will, when published, afford much information, and complete the - as it were, primordial narratives of Captain Phillips, Hunter, Collins, &c.
On Thursday last Messrs. Geo. Worgan, jun., Nicholas Clemence, and Joseph Elford were brought before the Liskeard Borough Magistrates charged with committing depredations by breaking various gates &c. on the night of the preceding Saturday. After an investigation of the case, which lasted several hours, the parties were fined 5 pounds each, besides the costs and repairs. Mr. George Boucher Worgan, of Warland Cottage, near Liskead, died on Sunday last suddenly, aged 78, having complained of only a pain in his stomach. He was a Surgeon in the Navy, and the first that went out to New South Wales to establish a colony there, in the ship commanded by Admiral Tench, uncle of John Sargent Bedford, Esq., of pendrea, Penzance, Cornwall. From Plymouth, on Friday last, having sailed 31st April the ship Forentia, Captain Deloitte, with merchandise. Passengers - . . . Messrs. Moore, Packett, and Bond, shepherds; Mr. Henderson, baker, Mr. Worgan, music master, and Mr. Mitchell, confectioner. March 4, at Liskeard, aged 81, G. B. Worgan, Esq., retired Surgeon, R.N. To the Ladies and Gentlemen and Inhabitants of Sydney and its Vicinity. and intends giving instruction in the above branches of his Profession. For terms, &c., apply at Mr. Francis', Prince street, opposite the Military Hospital. The Pianoforte tuned by Mr. G. W. W. an improved principle.
. . . Surgeons - George B. Worgan . . .
Amongst the other sources of mutual instruction it this increasing and useful Institution, there will in future be a Weekly Musical Class, on the same principle as the Wednesday Evening Debating Class. The days of meeting are not yet decided on, but we understand, that Mr. Worgan has offered his services as Leader of the Class and, as that Gentleman has acquired a high character for his musical attainments, the Class is likely to be of a superior description. Under Distinguished Patronage. MISS WALLACE BEGS to inform her Friends and the Public, that her Concert of Vocal and Instrumental Music, will take place on the 17th instant, in the Saloon of the Royal Hotel; on which occasion she will be assisted by Mr J. P. Deane and family, a celebrated Vocal Amateur, Mr. Worgan, Mr. W. Stanley, Mr. Sippe, Miss A. Winstanley, and Mr. Wallace . . . PART 1ST . . . 2. Trio - Notte Giorno - MOZART. Miss Wallace, Mr. Worgan, and Amateur . . . PART 2ND . . . 7. Song - RODWELL. Mr. G. W. Worgan . . .
A meeting of gentlemen interested in the formation of a musical class was held at the School of Arts, Pitt-street, on Thursday evening. About thirty gentlemen were present, Mr. R. Windeyer in the chair. It was resolved that a class for the encouragement of vocal and instrumental music should be formed, and about a dozen gentlemen immediately signed their names and became members. A committee, consisting of the following gentlemen was appointed: Messrs. R. Windeyer, Sea, Worgan and Spyers, to draw up rules and regulations and to report the progress at a general meeting, to be called on the subject on Thursday next. Miss Wallace's Concert, on Wednesday, was well attended, and the whole of the performances went off with considerable success . . . A gentleman named Worgan, who has recently arrived, sang a simple little ballad, accompanying himself on the piano-forte; Mr. W. displayed much taste, but his voice is so low and weak that, at the lower end of the room, he was nearly inaudible; but from the way in which he acquitted himself, there can be no doubt of his being an excellent musician . . .
CONCERT. MR. DEANE BEGS to inform his Friends and the Public, that his CONCERT OF VOCAL & INSTRUMENTAL MUSIC, will take place at the Saloon of the Royal Hotel, on Wednesday Evening next, the 21st instant, on which occasion he will be assisted by Miss Wallace, Mrs. Clancy, the Vocal Amateur whose performance elicited such unqualified applause at the last Concert, Mr. Worgan. Mr. Leffler, and Mr. Wellington Wallace. PROGRAMME CONCERT. PART I . . . 4. Trio - The Red Cross Knight - Callcott . . . Mrs. Clancy, Mr. Worgan, and Amateur . . . PART II. . . . 8. Song - White Squalls . . . Mr. Worgan . . .
Miss Wallace's concert was well attended. The Governor, lady, and suite; Sir Maurice O'Connell, lady, family, and suite; and many of the principal families of Sydney, were present. Both Sir George and Sir Maurice were well received. The singers being few, the duties of the evening fell chiefly on Miss Wallace and the Amateur; which, on account of their superior talents, was felt to be no great loss . . . Mr. Worgan sings a good song, but his style of singing is not in our opinion adapted to a concert room. He is inferior to another amateur whom we saw in the room, and who assisted at the oratorios. He did not please us in the song of "Through the forest." . . .
. . . Mr. Worgan's voice does not appear adapted for a solo, that sung by him was barely respectable, he would appear to more advantage as second in a duet. Mr. Worgan seems to be of the same opinion for, much to the satisfaction of the company, he did not attempt a second solo set down for him. The amateur (Bushell) was in excellent voice . . .
. . . The opening scene was not to our liking; the bass voice of the Amateur [John Bushelle] was too powerful for Mr. Worgan, and who it struck us was also a little out in the harmony. Miss Wallace deserves considerable praise for her execution ot Rossini's celebrated "Tu che i Miseri conforti." It was sung with great taste - the accompaniment was excellent. Mr. Worgan cannot sing a ballad - his voice is any thing but melodious, and his cadences any thing but tasteful . . .
. . . Mr. Worgan should never attempt to laugh, for he is a "melancholy man." . . .
To the Inhabitants of the Hunter and Paterson Rivers. F. ELLARD begs to acquaint the Inhabitants of the above districts tbat he and Mr. George William Worgan, will be in Maitland on or about the 1st of December, for the purpose of tuning and repairing Pianofortes. All commands by Letter, left at the Post-office, will be punctually attended to. Music Saloon, George-street, Sydney, Nov. 25, 1839. (Before Captain Innes and Mr. Windeyer) William Worgan, musician, William Golding, clerk to Mr. Norton, and a man named William Sharp, were brought up, the two former charged with being drunk, and the latter with stopping the Constable in the execution of his duly. The charge not being fully proved, they were discharged. "How sweet those tuneful bells." A Cantata. Written and composed by G. W. Worgan, Organist of St. Mary's. Dedicated to the Very Rev. F. Murphy, V.G. Sydney; F. Ellard. A careful examination of this composition has tended very much to enhance our estimation of Mr. Worgan's musical abilities. The instrumental part contains passages of striking and ingenious imitation, and the frequent repetition of the peal of bells has a pleasing effect. Of the melody we cannot speak so favourably. It is indeed improperly styled a Cantata, being a piece of Recitative nearly throughout. But the whole is subservient to the instrumental part, which may be played with much satisfaction independent of the words. Upon the whole we must pronounce it superior to the average of new compositions, and well worthy of the attention of our musical readers. It may be as well to state the unusual but important fact, that it is within the practice of any amateur. 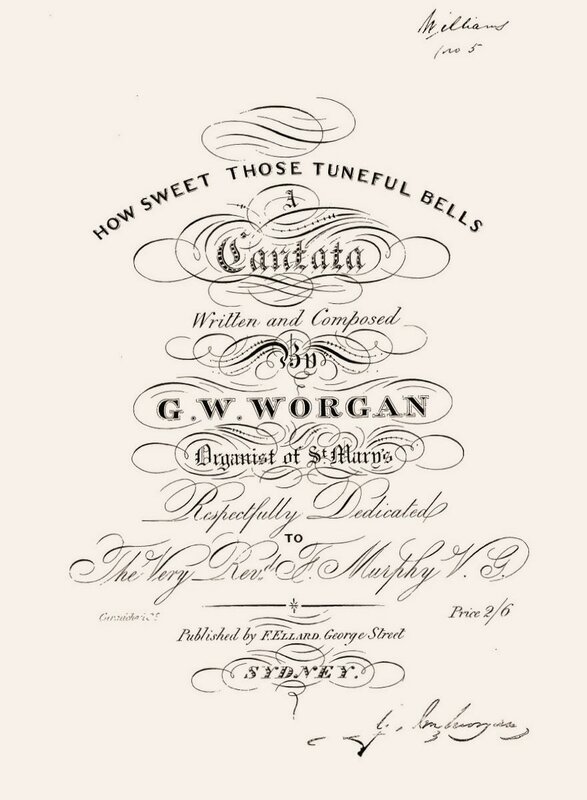 "How sweet those tuneful bells:" published by Ellard. Mr. Worgan has made this oft tolled theme the subject of a very pretty Cantata. We strongly recommend every musical person to get it; it is simple, pleasing, and good, and has the additional, and by no means immaterial advantage of being most easy of performance. In the Insolvent Estate of George William Worgan, of Pitt-street, Sydney, professor of music. Whereas the Estate of George William Worgan was, on the 14th day of July, 1843 placed under Sequestration in my hands, by order of His Honor Sir James Dowling, I hereby appoint a Meeting of the Creditors of the said George William Worgan to be holden at the Supreme Court House, Sydney, on Friday, the 14th day of July next, to commence at 10.30, a.m., and end at 11, a.m., for proof of Debts and election of a Trustee or Trustees, for the collection, administration, and distribution of the said Insolvent's Estate; and unless at the said Meeting it be shewn that the goods and effects of the Insolvent exceed £100, the Commissioner will summarily proceed to rank the Debts which shall be then proved, and will direct the proceeds to be distributed by the Trustees accordingly. - Dated this 28th day of June, 1843. Chief Commissioner of Insolvent Estates. GENTLEMEN, In the Herald of to-day, I am represented as having assisted the Town Band, on the night of the Jewish Festival. I did no such thing; but was a guest on that occasion, if you please. For the sake of my friends, (I care not), will you kindly give this a corner in your valuable paper? I am, Gentlemen, Your obedient servant, JOHN WORGAN. April 19.
. . . We had forgotten, in tho hurry of writing, to mention Mrs. Gibhs' English Ballad, and the Irish Ballad of Kitty Creagh. The first was very well sustained, but we could not help regretting that the latter had not been assigned either to Mr. Ellard, junior, or to Mr. Worgan, who could either of them have given it the raal brogue. Only fanthy the pathetic strains of Sthweet Kitty Creagh being lithped by Mrth. Gibbths. GRAND CONCERT. UNDER THE PATRONAGE OF SIR MAURICE O'CONNELL, K. C. B. MONSIEUR AND MADAME GAUTROT, about to proceed to Calcutta, beg respectfully to announce their intention of giving a Grand Vocal and Instrumental Entertainment, in the Saloon of the Royal Hotel, on Wednesday, the 15th Instant. On this occasion will be engaged all the available musical talent in the colony, amongst which will be Solos performed by Mesdames Bushelle, Gautrot, Clancy, and Carandini; Messieurs S. W. Wallace, Gautrot, F. Ellard, Jun., F. and J. Howson, Worgan, Turner, Carandini, and an Amateur. The programme, with full particulars, will be published in a few days. ROYAL CITY THEATRE. UNDER DISTINGUISHED PATRONAGE, MISS HINCKESMANN'S SOIREE MUSICALE WILL TAKE PLACE TOMORROW EVENING, OCTOBER 23, 1846, At the City Theatre, Market-street. VOCAL PERFORMERS. : Mrs. Bushelle, Madame Gautrot, Mr. J. Howson, Mr. F. Howson, Mr. Worgan, and several Amateurs, who have kindly volunteered their services . . . Programme: - PART I . . . 6. Ballad, - "The Fairy Boy," Mr. Worgan - Lover . . .
During the 3 years, 1847 to 1849, Worgan was rarely mentioned in the Sydney press; those few so far identified are transcribed in full below. Like many of his musical colleagues, Worgan was probably suffering financially from the colony's ongoing economic troubles, a state of affairs barely concealed by his attempt in 1849 to earn £200 by advertising for an articled pupil. On Wednesday last a Concert was held in the Australian Grand Lodge Hall of the Independent Order of Odd Fellows, and was numerously and respectably attended. As tbe performers on the occasion were mostly amateurs, it would be ungracious to comment, with a critic's severity, upon their individual, or concerted, efforts, we cannot, however, pass over without notice, the flute solo, which, to our ear, was beautifully executed. This amateur has much improved since we last had the pleasure of hearing him. Mrs. Gibbs and Madame Carandini, as usual, delighted their hearers, both in their respective songs, and in their duet Sol fa. "The spell is broken," was sung with considerable pathos, and elicited an encore. A gentleman amateur, who, could not attend through indisposition, had his place filled by a professional, in the person of Mr. Horncaatle, who favoured the company with three of his happy songs. We cannot conclude without noticing, in terms of approbation, the voluntary performance, by Mr. Worgan, on a new instrument called the Harmonian, which is far more powerful than the Seraphine, and its tones considerably sweeter. This instrument is well suited for small churches, and chapels of ease. J. T. GROCOTT has much pleasure in informing his patrons that he has engaged the permanent services of Mr. G. W. WORGAN, in the above branch of his business. One word in favour of Mr. W.'s well-known superiority would be unnecessary. A Spring Van and steady men always at hand. ARTICLED PUPIL FOR THE ORGAN. MR. G. W. WORGAN, Organist of St. Patrick's Church, is prepared to receive into his house, a youth of respectability, about thirteen years of age, as an Articled Pupil, for the term of FOUR YEARS. He will receive a sound Theoretical, and Practical Education in the Science of Music; and his studies will be strictly confined to the works of the most eminent misters, ancient and modern. Premium. £200. For particulars address Mr. WORGAN, at Mr. Grccott's Music Saloon, 486, George-street. MR. G. W. WORGAN begs respectfully to remind the numerous Families who have given his method of Tuning so decided a preference, that the two following months should not be passed over without their pianofortes being tuned. All sound instruments accorded within the above period by Mr. W. warranted to remain in tune during the winter months. Pianofortes selected by Mr. W. at a charge of five per cent on purchase price, and all repairs done by him, or under his immediate superintendence, Warranted, and the instruments fortified against climate. Address Mr. WORGAN, at Mr. Grocott's Music Saloon, 486, George-street. BIRTH. At Woolloomooloo, on Sunday, December 30, Mrs. George William Worgan, of a daughter. GRAND CONCERT. MR. BALY begs to inform his friends and the public that he intends giving a Concert of Vocal and Instrumental Music, in the Aaloon of the Royal Hotel, ON FRIDAY, JUNE 7, 1850, when he will be assisted by MISS SARA FLOWER, Messrs. Deane, Worgan, Stanley, and a highly talented Amateur. Mr. Stanley will preside at the Pianoforte. PROGRAMME. PART I . . . Ballad - "Gone is the Calmness," with Flute Obligato Accompaniment, W. V. Wallace - Mr. Worgan . . .
FAMILY DIFFERENCES. - Mr. George William Worgan appeared on summons, for neglecting to comply with an order of the Bench, dated 26th August, 1850, at which hearing he was ordered to pay a weekly sum of 15s. for the support of his deserted wife. Mr. Little, who appeared for the defendant, satisfied their worships by the most palpable testimony, that since the making of the order, the parties had been living together as man and wife, therefore, he contended, the complaint was completely absurd. The Bench, after alluding to the unsettled state of the law upon this particular, refused to make an order. Mr. O'Reilly, who had been retained for the prosecution, upon hearing this decision, shook his mane, and winked at Paddy Driscoll. In the month of August last, Mrs. Worgan, wife of George William Worgan, of William-street, musician, complained to the Bench of Magistrates that her husband had deserted her, and although well able to afford her a maintenance had neglected or refused to do so. A summons was accordingly issued against Worgan; and after hearing the case, an order was made for the payment to Inspector Pearce of 15s. per week. Yesterday Worgan appeared before Mr. Dowling, on summons, for having failed to comply with the order made in the matter, the sum of £18 4s. 6d. being now due. Mr. O'Reilly conducted the case for the complainant, and Mr. Little for the defence. The witnesses for the prosecution proved the making of the order by the justices, and that no payment whatever had been yet made. Mr. Little, for the defendant, said, that subsequent to the making of the order the parties had been living together as man and wife, and submitted that the order of the magistrates was thereby rendered a nullity, and that the only course now open to Mrs. Worgan was to make application to the Court for a fresh order. He called upon Mr. Smith, who deposed that he resided near to the defendant, and that since the date of the order he had been six or eight times in defendant's house, and saw Mrs. Worgan there; he saw her there on each occasion, the motive which induced him to go there being merely to protect her from his brutality; he had frequently during that period allowed Mrs. Worgan temporary shelter in his house; on leaving it she returned to the defendant. Mr. Dowling then declined making any order in the case. The brazen trumpet frights; the cymbals clash -"
Mrs. W. again left her domestic circle and sought the interference of Mr. Smith, and the legal assistance of Mr. Edward Dormer O'Reilly. Mr. Worgan, not to be behind hand, claimed the friendly offices of Mr. Little. Fortunately for the musician he did so, for that gentleman played upon his legal pipe so skilfully that the magistrate refused to make any order upon the question, and recommended the parties to forget their discords and play an harmonious concerto in future. During the discussion, Mr. Little insisted upon putting the book into Mr. Smith's hand; and that dapper little gentleman could not help proving that, after the making of the order, Mr. and Mrs. W. had lived together like Darby and Joan, though the quiet tenor of their lives was occasionally interrupted by the bass growlings of connubial thunderstorms. March 18. - Alert, barque, 39 1/2 tons, Captain Hubert Milne, for San Francisco. Passengers . . . Worgan Mary. Arrived. March 20. - "Cresswell", 574 tons, John Williams, master, from London 15th November, and Gravesend 19th November. Passengers . . . Messrs. Clark, M'Lean, Peacock, Worgan, Fred. Barton . . .
EASTER HOLIDAYS. A Treat for the Young Folk and Children OF LARGER GROWTH. OPEN THIS DAY, from 3 to 5 o'clock, and THIS EVENING from 8 to 10 o'clock, GROCOTTS DISSOLVING VIEWS. These beautiful views were purchased in London, from Carpenter and Westley, by the late Captain Stanley, of H.M.S. Rattlesnake, regardless of expense, and are admitted to be fully equal to the views shown daily in London, at the Polytechnic. Showing a radius of 15 feet. The Saloon has been fitted up to accommodate 150 persons, and in addition to the above the rooms are full of beautiful pictures. The whole of the views ocoupy in showing one hour and a half, during which appropriate music is played by Mr. G. W. Worgan . . .
After April 1851, George William Worgan disappears from the newspaper record until a final reapperance in 1861, and his death the following year. MR. WORGAN, professed Tuner of the Pianoforte, having returned to Sydney, respectfully requests all orders for him to be left with Mr. WILLIAM KING, Pianoforte Warehouse, Market-street. 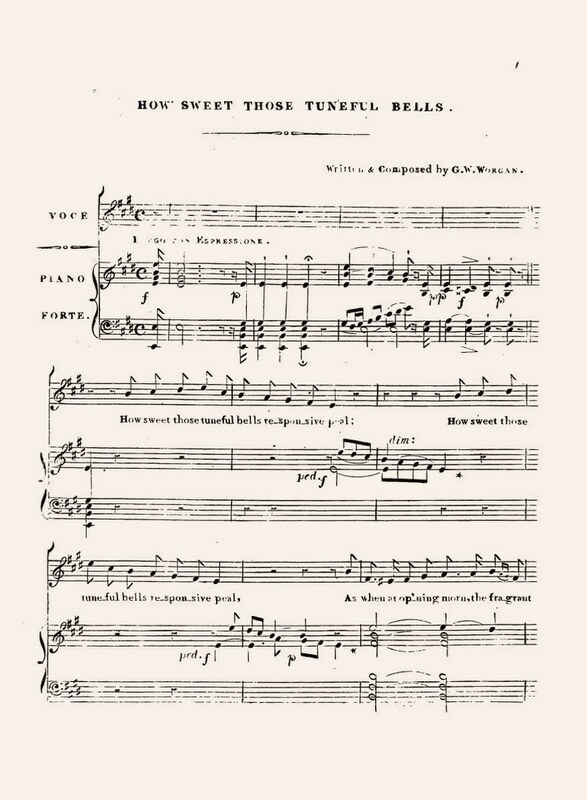 GEMS OF SACRED MELODY; being a choice Collection of Psalm and Hymn Tunes, Chants, &c. &c., both ancient and modern; with the addition of several original compositions, selected, arranged, and composed, by George Worgan, (grandson of the celebrated organist and composer, John Worgan, Mus. Doc.,) Organist of Camden Chapel, and Professor of the Pianoforte. This Work is particularly intended for general use, being equally adapted to afford delight in the drawing-room, as to the more dignified objects of the sacred edifice. The words are published entire, and the measure of each tune is so clearly marked, that it may be sung to any poetry, (whether Psalms or Hymns,) of a corresponding nature; consequently, this Work is especially suitable to every description of congregation. London: published by S. Low, 42, Lamb's Conduit-street; & sold by all the principal Music sellers. Gems of Sacred Melody. A choice collection. George Worgan. S. Low. A delicate dish for the devout, a bonne bouche for such as haunt conventicles, a choice collection from the masterpieces of Wheall, Major, Jones, Madan, Whitton, Coombes, E. S., Sir William Parsons, Dr. Heighington, Knapp, and other unheardof celebrities who indulged in the vein ecclesiastic. As these are already famous, and impervious to critical attack, we gladly avail ourselves of their impregnability, and say nothing about them, our business being solely with Mr. Worgan, who, suffice it to say, has been judicious in his selections, and has added some creditable specimens of his own. He is fully entitled to the gratitude of such as run the race of godliness, and gird up their loins in the temple of the upright; of such as fast and pray, and contemn carnalities, cutting carnivorous confarreation on Fridays. He who runs may read; he who pays twelve shillings may have his bellyfull of biblical blubberings. Arrived. March 20. - "Cresswell," 574 tons, John Williams, master, from London 15th November, and Gravesend 19th November. - Passengers: . . . Messrs. Clark, McLean, Peacock, Worgan . . .
ARRIVALS . . . January 8 - Ship, Carnatic, 632 tons, Smart, from London via Otago. Passengers . . . Mr. and Mrs. Worgan . . .
On the evening of Wednesday last, a large part of the population of Napier - men, women, and children, repaired to the Council Chamber, as well to witness the novelty in this part of the world of a tea party on a large scale, as to enjoy the good things which were so abundantly provided by the ladies who had undertaken the duty of furnishing the tables, and the more intellectual entertainment which it was understood would follow . . . Neither the instrumental nor vocal performers were very numerous; but, under the persevering leadership of Mr. Robjohn, the very most had been made of the amateur portion of the materials; while he had the able assistance of such thorough artistes as Mr. Robottom and Mr. Worgan. The harmonium, under the masterly touch of the latter, had a magnificent effect in the sacred pieces; indeed many* we feel assured, were to that moment ignorant of the quality of " sweet sound " which this instrument could be made to produce. A solo on the flute by Mr. Robottom, of the execution of which nothing need be said, accompanied by Mr. Worgan on the piano forte (which instrument, by the way, was kindly lent for, the occasion by the Messrs. Yates) was the next on the list; followed by "I waited patiently" - anthem from the 40th Psalm . . . A solo on the harmonium, by Mr. Worgan, succeeded. Its execution gave a striking illustration of the use of the "stops" - the dexterous management of which had a very surprising effect in varying the strain . . . The thanks of the public are certainly due to the presiding ladies, as well as to Messrs. Robottom, Worgan, Robjohn and the other vocal and instrumental performers - all of whom, we need scarcely say, were volunteers - for their exertions in catering for the public entertainment . . .
On the evening of Wednesday, the 8th inst., a public rehearsal in aid of the building fund of the Church of England, was given in the Council Chamber by the Napier Choral Society . . . The absence from the programme of an instrumental overture was regretted by many, more especially by those who were present at the concert in aid of the Athenaeum, in which Mr. Robottom took so prominent a part; but the audience were agreeably disappointed at seeing Mr. Worgan take his seat at the harmonium. The piece selected by that gentleman (who fortunately had just come to town) was Haydn's Grand March - the execution of which was that of a master. It was not, however, quite the style of music for this instrument - some of the quick movements and piano passages being entirely lost. A piece of slower time would have been more effective, and afforded more pleasure to the audience . . . The second part opened with "Pastel," an overture on the harmonium, by Mr. Worgan. The music was grand but the audience (a very decorous one in general) shewed bad taste by talking, &c. during the performance . . .
Mr. Worgan's Musical Soiree came off on Thursday night and proved a decided success. The chamber was as well and respectably filled as we have ever seen it. The brilliant overture II Barbiere di Seviglia a piano forte duett by Mr. Worgan and a lady, with instrumental accompaniment was splendidly executed and received with rapturous plaudits. The first of the vocal programme was that very pleasing composition "Oh who will o'er the downs so free," which was very creditably executed. The touching melody "Her bright smile" was feelingly sung by Mrs. Welch, and was well received. The next was an instrumental trio Piano Forte, Violin, and Violincello Cujus Animam a truly sublime composition by Rossini, yet one to try the powers of the performers. It was very effectively executed. 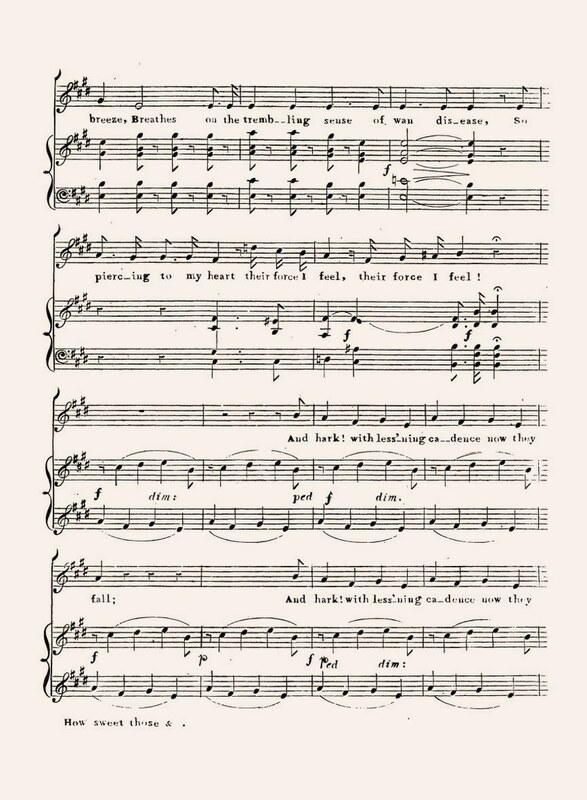 "The King of the Sea," a song by Mr. Lyndon, followed, and was received with loud encores. Bishop's favourite glee "When winds whistle cold" was well given and very warmly received. The first part closed with a fantasia on the piano forte by Mr. Worgan. 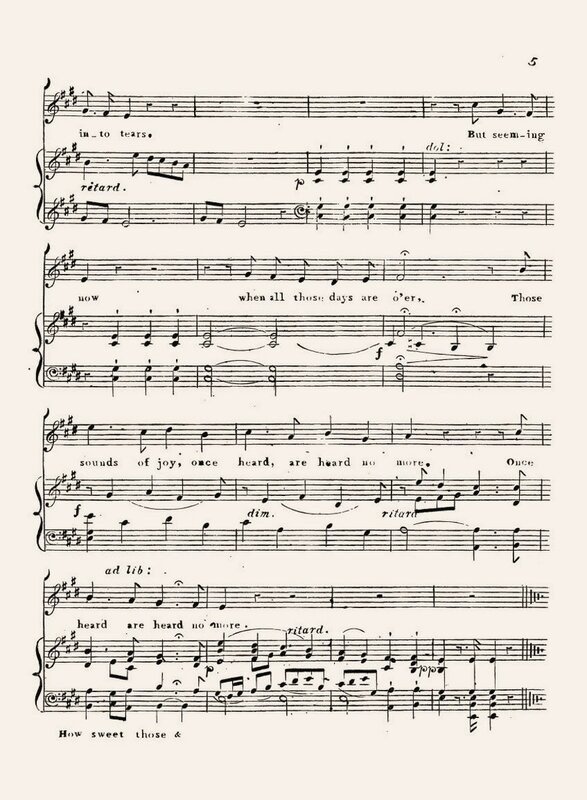 This was an extempore piece, with several airs introduced, such as "Home, sweet home," "Auld Lang Syne," "Oh where, tell me where," and Haydn's grand March, written for the Royal Society of Music, but never published. The execution was that of a master, and was listened to with breathless attention by the audience. It was received with a loud ana prolonged encore, to which Mr. Worgah responded. The second part opened with the 4 part song, "The Hunt is up," which was followed by a fantasia on the flute by Mr. Robottom, which was highly and deservedly appreciated and loudly encored. 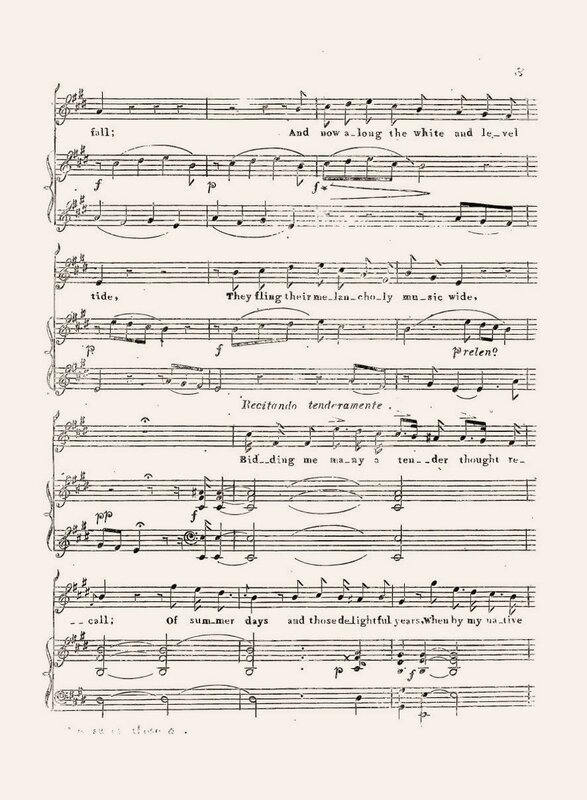 The pleasing glee "Winds gently Whisper" and the solo and chorus "Come where my love lies dreaming," creditably rendered, were followed by the best effort of the vocalists, "Poculum elevatum," which was well and humorously given. The fantasia on the violin and violincello by Mr. Robottom and son was exquisite, and was loudly encored. Mendelsshon's fine composition "When evening's twilight" was sung with great taste and sweetness and "Mynheer Van Dunck," given with much spirit, concluded the performance, upon the decided success of which we have to congratulate Mr. Worgan, and have in conclusion to express a hope that a gentleman so distinguished in his profession will be induced to forego his intention of leaving the province. The Athenaeum was inaugurated on Monday last, the 13th instant. His honor the Superintendent delivered an address to a crowded auditory upon the importance of mental culture and other topics suitable to the occasion. He was followed by the Bishop of Wellington (Archdeacon Abraham, when residing in Auckland), who took as his subject the axiom that knowledge is power, and treated it very happily. The proceedings also included several pieces of music by an accomplished pianist (Mr. Georgo Worgan), an old settler here, but who is likely, from reverses of fortune, to return to his profession, and to seek your city as a field for his exertions . . .
. . . Mr. Worgan, who had kind}y volunteered his services on the piauo, played "Andante," from Haydn's second grand symphony. Upon being again called upon by the audience, he gave the Military movement," from the twelfth symphony both in his usual masterly style . . . Dr. Hitchings then sang Calcott's celebrated heroic melody Friend of the Brave,' from Campbell's Pleasures of Hope and Mr. WORGAN, on the pianoforte, gave an extempore introduction, followed by the Flower of the Valley' waltzes, by Dalby. The efforts of both gentlemen were warmly received. WORGAN. 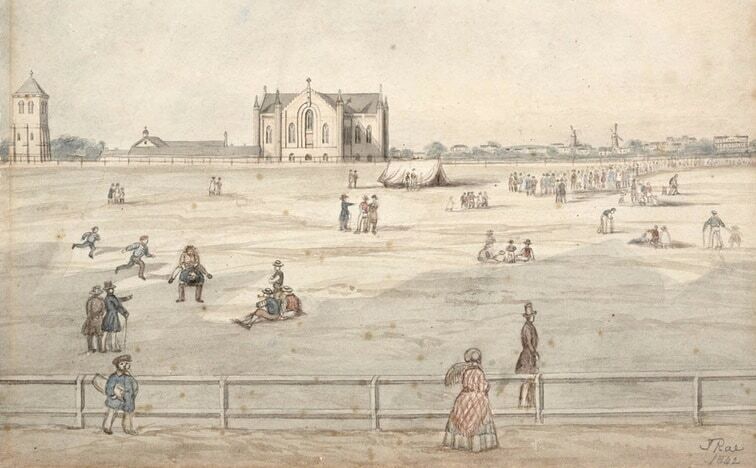 - At Molesworth-street, on the morning of the 21st of January, 1883. Harriet Elizabeth, the beloved wife of George Worgan, aged 71 years. WORGAN.- On the 2nd April, at the residence of Mrs. Carpenter, Tinakori-road, George Worgan, aged 85 years. SIR, - On Easter Monday there died in this city a musician concerning whom a few words may be of interest to some of your readers. Mr. George Worgan was grandson of the celebrated Dr. Worgan (whose portrait, I believe, still hangs in the Hall at Christ Church, Oxford), and son of a Gloucestershire rector. He was born in 1802, and had, therefore reached the ripe age of eighty-six. His memory was unclouded and his enthusiasm for music undimmed to the day of his death, and I have known no greater pleasure than listening to his rich store of musical reminiscences, some of which I will briefly mention. When quite a young lad he was one day taken to see Mrs. Charles Wesley, widow of the famous preacher, and during his visit was introduced to her two sons, Charles and Samuel, who were already elderly men. A few years later he deputised at the organ (at Portman Chapel, Mayfair) for the famous Samuel Wesley, whom he succeeded as organist. Many times has Mr. VVorgan spoken with enthusiasm of "old Wesley's" fugue playing, which is now famous as a matter of history. At the pianoforte Mr. Worgan's master was [the] famous John Cramer, and he had as fellow-pupi the celebrated John Field, whose awkward appearance and exquisite playing my old friend described most graphically. Field went to Russia, and Worgan settled in London as a fashionable pianoforte teacher, his social and professional position being greatly helped by his aunt, Lady Parsons (wife of the Chief Magistrate at Bow Street) who had been a great favourite at the Court of George III. He taught in the families of many of the leading nobility, and was at one time nearly having the honour of teaching the Princess Victoria, our present Queen. Among his pupils were the daughters of the great Clementi, whom he has often described to me, and with whom, as indeed with all the well-known names from 1820 to I850, he was on terms of intimacy. As a member of the Philharmonic Society Mr. Worgan attended the seasons conducted by Moscheles, Spohr, Smart, Mendelssohn, &c., and I have seen him almost wild with excitement when describing the first performance by Mendelssohn of his G minor Concerto, and its electrical effect on the audience. But (to go back still earlier) he would at another time tell of Weber and "Oberon," and how he went night after night to Covent Garden to hear the fairy opera and see its great composer, who was even then in the clutches of death; while his reminiscences of Paganini, and Jenny Lind, and Braham  and all the famous players and singers and literary men and women of half a century ago were simply legion. Mr. Worgan retired with a competence about 1850, and soon afterwards came to New Zealand, where he bought a sheep-run. Fortune was unkind to him in this rough and strange land, and after many vicissitudes and heavy losses he took up his old vocation as a music-teacher, in which he laboured until a few years back. His last appearance in public here was at a concert of my own a few months ago, when, after a performance of Beethoven's "Pastoral" Symphony, he rose and spoke words of kind approbation and encouragement to the orchestra and myself. His familiar figure and polished courtesy of manner will long be missed by his many friends in New Zealand. I am, yours, &c., ROBERT PARKER. Wellington, New Zealand, May 10, 1888. How sweet the tuneful bells' responsive peal! So piercing to my heart their force I feel! And hark! with lessening cadence now they fall! First wak'd my wond'ring childhood into tears! The sounds of joy once heard, and heard no more. George Boucher Worgan, having lived at Liskeard during his latter years, died in 1838, at the age of 80. Of his birthplace or parentage no particulars have been obtained. In 1778 [sic], while young, he went out as surgeon in the first expedition with convicts under Commodore Phillips, to Botany Bay, then hut little known. He wrote an interesting account of the voyage and colony: it was however never published, and has been mislaid. Having married Lawry of Liskeard, and settled in the district, he took the farm of Bray, and afterwards of Glynn; but being very theoretical in the management, and having some difficulty in the holding, which he attributed to entails, he quitted both estates with considerable loss. In 1808, he was engaged by the British Board of Agriculture to survey the husbandry of Cornwall; his report of which, revised by three country gentlemen, and published in 1811, is considered a good authority. (See page 365.) He was a man of extensive reading, and for several years conducted a national school at Liskeard. His sister married Sir W. Parsons, Master of the King's Band. A brother lived near Cheltenham. Two sons went to Australia. WORGAN, George Boucher. Surgeon R.N. in Commodore Arthur Phillip's first expedition to Botany bay 1778 [recte 1788]; Lessee of the farms of Bray and Glynn near Liskeard; Engaged by British Board of Agriculture to survey the husbandry of Cornwall 1808; Master of a National sch. at Liskeard. hung himself at Liskeard 4 Mch. 1838, aged 80. bur. Liskeard ch. yard, where is gravestone, m. Mary Lawry of Liskeard. She d. Liskeard 14 Dec. 1846, aged 82. cf. Allen's Liskeard pp. 525-26. General view of the agriculture of the county of Cornwall. Drawn up and published by order of The board of agriculture and internal improvement. By G. B. Worgan . . . Lond. printed by B. McMillan, sold by G. and W. Nicol; Liddle, Bodmin; Tregonning, Truro and Vigurs, Penzance 1811, 8o. pp. xvi, 192 with map and 15 plans and plates, 12/-. Note. - Advertisement signed "G. B. Worgan, Bod- min Nov. 30 1808." This word was revised by "Robert Walker, Jeremiah Trist, C. V. Penrose. Cornwall, May 1, 1810. Account of Botany Bay. By G. B. Worgan. MSS. Glancing through the private diary of Mrs. Macarthur, the writer found mention of Elizabeth Farm House being ornamented with a pianoforte which was brought to the colony by Doctor Worgan, of the H.M.S. Sirius, and presented to Mrs. Macarthur. This instrument was the first of its kind in the colony and was considered "a great wonder" by the leading colonists who often assembled at Lieutenant Macarthur's residence. Mrs. Macarthur was an amiable and accomplished lady, fond of music, astronomy, natural history, painting and above all the art of husbandry . . .
. . . We always had a piano in Sydney. When Surgeon Worgan left the colony in 1790 he left the first piano as a present to Mrs. Macarthur, but the instrument was silent for want of a player - the only Government House lady was not a musician . . .
1815. A work of considerable local interest, but of small botanical value, was put into circulation this year. It was called General view of the Agriculture of the country of Cornwall, and its author was GEORGE BOUCHER WORGAN, who had acted as surgeon in Commodore Arthur Phillip's first expedition to Botany Bay in 1778. In 1808 Worgan was engaged by the Board of Agriculture to, survey the husbandry of Cornwall, the result of which subsequently appeared in the volume already mentioned. Worgan hanged himself at Liskeard on March 4, 1838, when in his eightieth year. His book adds Medicago sativa, Trifolium repens and T. pratense to Cornwall.
. . . The first piano in Australia was her property being given to Mrs. Macarthur by Surgeon Worgan, of H.M.S. Sirius, in 1790 to ornament her new house, which Governor Phillip had specially erected for her comfort. There was no teacher of music of any kind in Australia, so she set to work to learn from an old Italian Instruction book which was full of small rondos, overtures, and little tunes. Speaking of her first playing, she writes: "I am told I have done wonders in being able to play off 'God Save the King' and 'Foote's Minuet,' besides being able to read the notes with great facility." 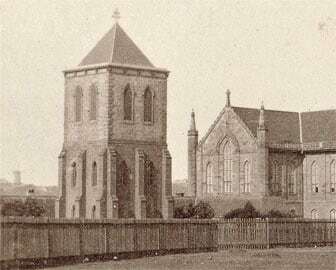 She sang to her own accompaniment, and had little musical evenings (the first in the colony), when her guests were Mrs. King (wife of the third Governor, then on his way to Norfolk Island), Mrs. Paterson, and Mrs. Johnstone, also the wives of other officers in the settlement. She was among the first women to organise picnics on the harbour . . .